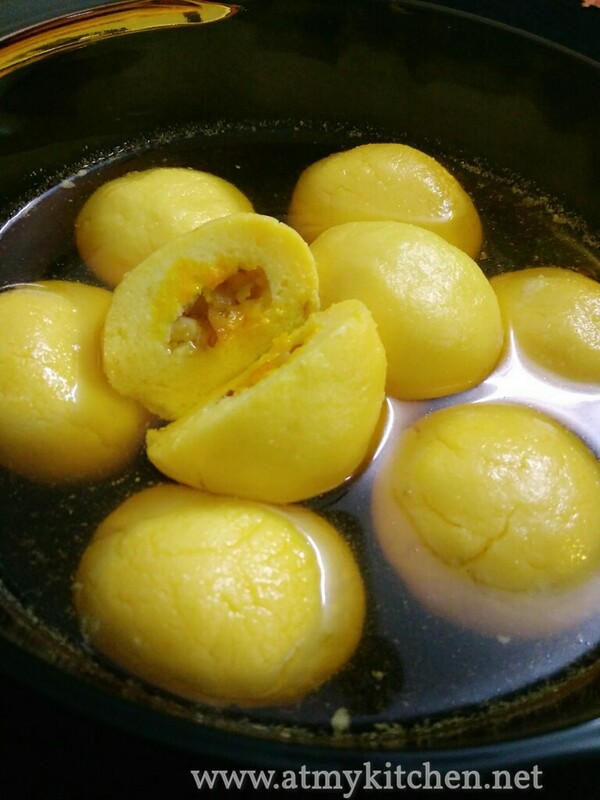 Rajbhog is a traditional Bengali Sweet made with Cheena/Paneer, stuffed with almond pistachios and cashewnuts and flavored with saffron. 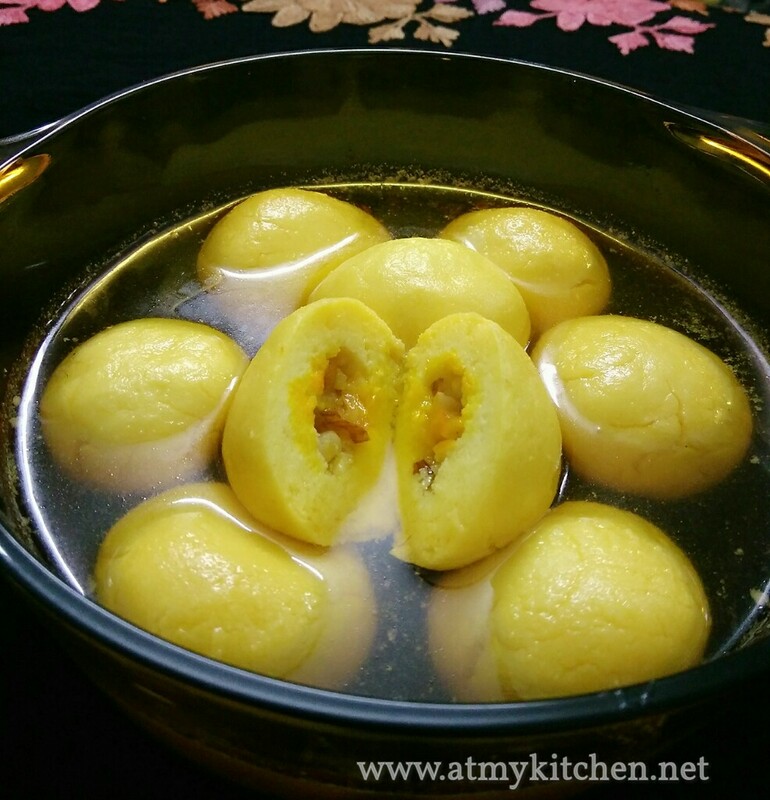 This Bengali delicacy is another version of Rasgulla which can be stuffed with dry fruits, nuts and mawa. Rajbhog is bigger in size. 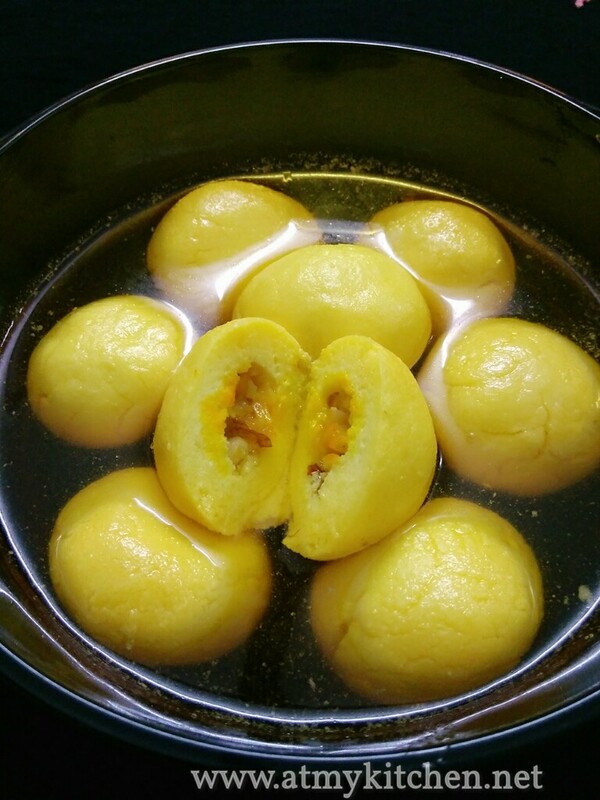 The cooking method and technique is the same as making rasgullas. 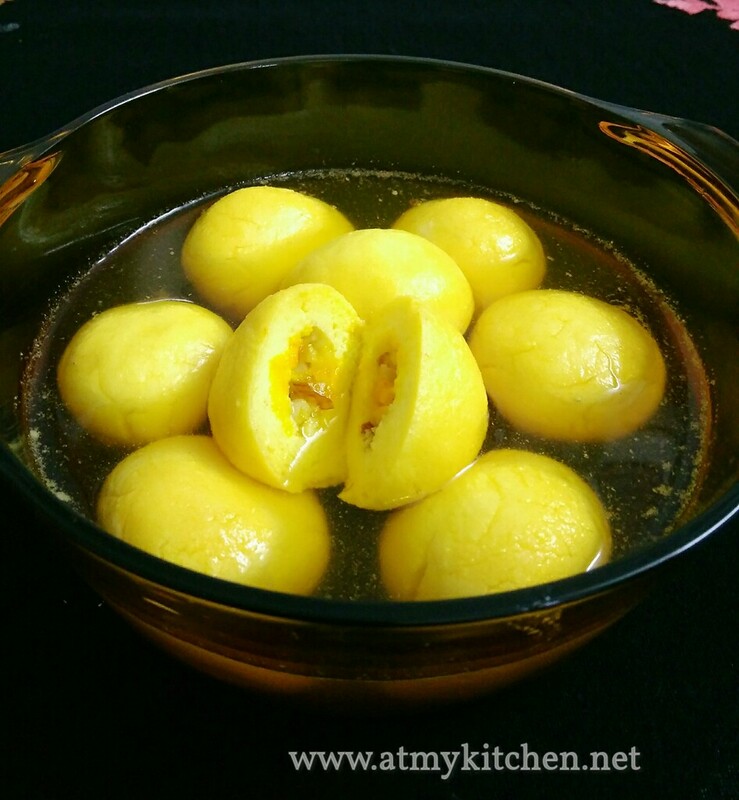 This is the perfect recipe for beginners and this is one of my no fail recipe. 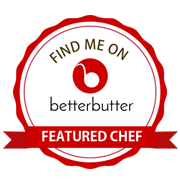 Many have tried this recipe and have got positive feedback. So make this delicious yummy Rajbhog recipe to impress your near and dear one and make this festival memorable and colourful. Hope you liked the recipe, please do try and leave a feedback, I would to hear from you. Take the nuts in a small bowl. Add small amount of cheese and few crushed saffron strands, mix well and keep aside. Add few crushed saffron strands and knead the cheese well to make into a smooth dough. Take a small portion of the cheese in your palm. Flatten it and make small circle like puri on your palm. Add some chopped nuts in the centre of the circle. Bring all the edges together and seal it and roll it to a ball. Continue the same with the remaining cheese. They should be tiny and not big as it will double when boiling in sugar syrup. Add sugar and water to a wide pan and bring to a boil. To the boiling sugar syrup, add cardamom powder and few saffron strands. Add the balls one after the other gently. Cover the pan with a lid and cook for 15-20 mins on a medium flame. Gently stir every 2-3 minutes to ensure even cooking and puffing. They will double in size when done. Take a rajbhog out and slightly press it, if it comes back to original shape then its cooked.